Adam Equipment’s new Highland approved balances contain practical features that simplify retail measurement, lab work, field testing, and industrial use. With OIML approval, the Highland approved balance is ideal for jewellery applications or in any retail setting where products are sold by weight. 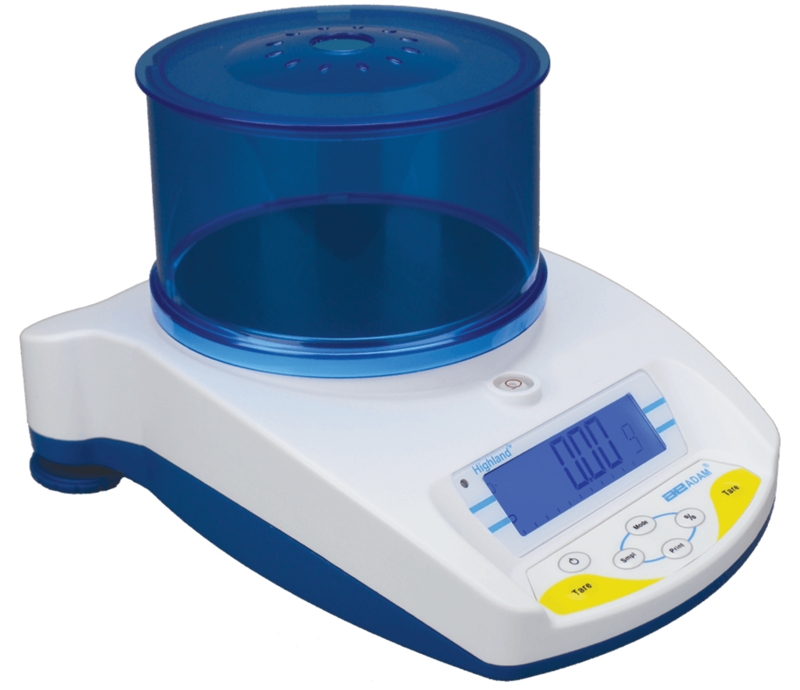 OIML-approved Highland balances are available in three models, with capacities from 600g to 5000g, and readabilities from .1g to 1g. Results can be displayed in one of three weighing units – carats, grams, or kilograms. The Highland approved balance is constructed of durable ABS plastic, so it is lightweight, sturdy and simple to clean. An innovative design conveniently allows multiple balances to stack for easy storage when space is limited. Powered by AC adapter or rechargeable battery, the Highland approved balance is portable, so it transports easily between locations. To ensure reliable, accurate readings, a removable draft shield eliminates wind disturbances outdoors or in drafty indoor locations. An internal ShockProtect® feature helps prevent damage to the balance from accidental overloads. To help keep the balance safe, the Highland contains a built-in security slot that accommodates an optional Kensington-type lock and cable. Data communication is provided with the included RS-232 and USB interfaces, allowing for easy connections to printers or computers to store weight readings.